Shopping for your wedding dress can be a little overwhelming. You know how it goes in the movies – you try on a few white, sparkling dresses, and then suddenly there it is: THE dress. The one that makes you gasp and twirl. You look like a princess. You cry, your mum cries, the owner of the boutique cries. Magical. There’s no denying that your wedding dress is important. It’s likely to be the most expensive single item of clothing you will purchase in your lifetime, and you want to look and feel like a million dollars when you walk down that aisle – it’s a whole lot of pressure to put on a piece of fabric! But what if you don’t want to be a princess? What if you want to be a rebel, a badass superhero, a scholar, or a kickass punk rocker? If the thought of a rack full of starched white and ivory meringues and crystal bedecked sheaths is enough to bring you out in hives – don’t despair. 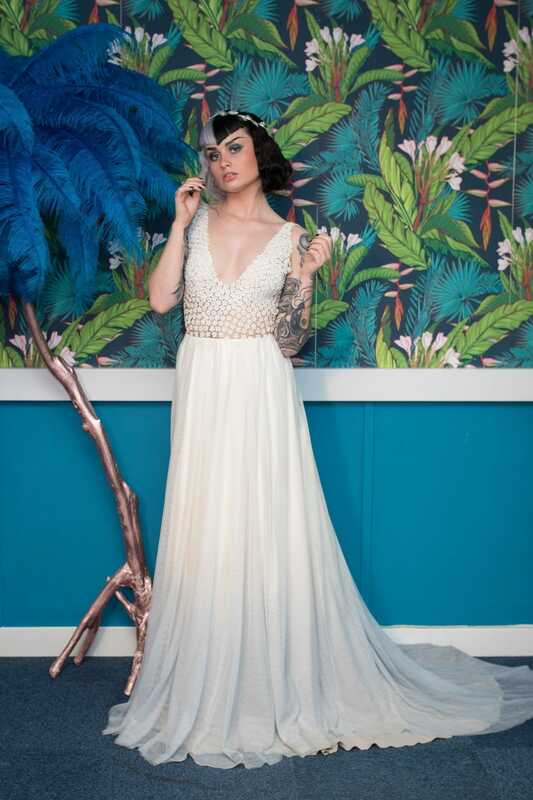 There are some fantastic designers out there doing things a little differently and bringing truly modern, alternative and really bloody gorgeous gowns to market for non-traditional brides. Here are some of my favourites. 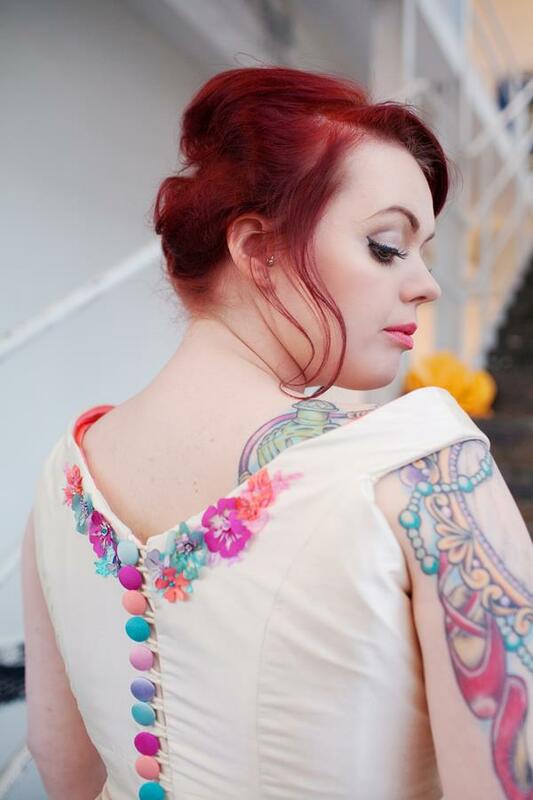 Get ready to feast your eyes, break the mould and find your wedding dress. 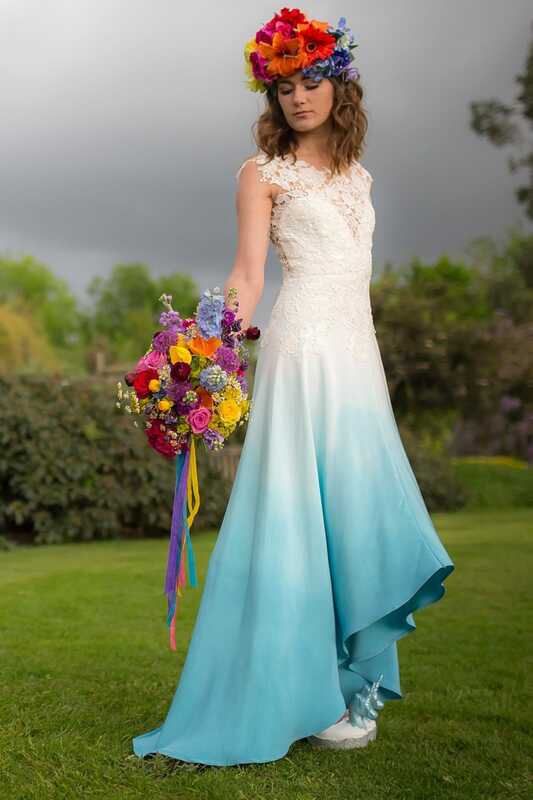 Colourful dip dyes, ethereal silk skirts and hundreds upon hundreds of hand appliquéd flowers. Shaaaamazing! 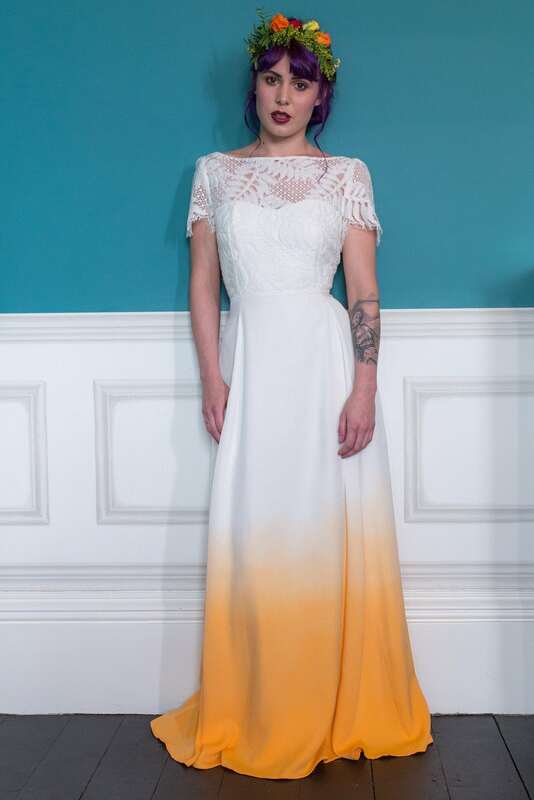 I love that designer Lucy Scragg’s signature style injects a splash of colour into wedding style from her Essex studio. As far as I’m concerned it’s high time wedding dresses were no longer synonymous with virginal white. 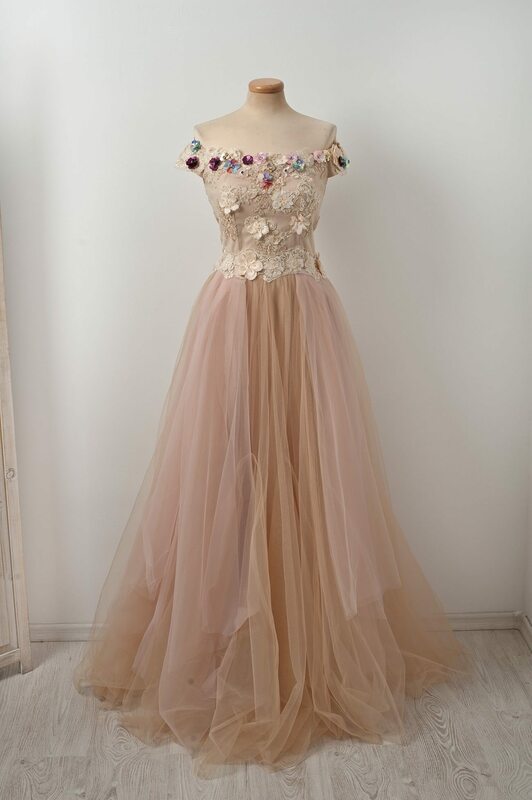 Who says your wedding dress has to be a dress?! Designer Hannah Ollichon from London has created the first dress-less bridal collection. We’re talking seriously chic jumpsuits and separates made with French lace and British embellishment. These are modern and so stylish, without the fuss and the frippery of lots of the full length gowns out there. And just think how much easier it’ll be to bust out your best moves on the dance floor without a skirt to trip over. Genius! Want something totally out-of-the-box and bespoke? Jo and her team are your wedding dress wonderwomen. Scarlet raw silk? 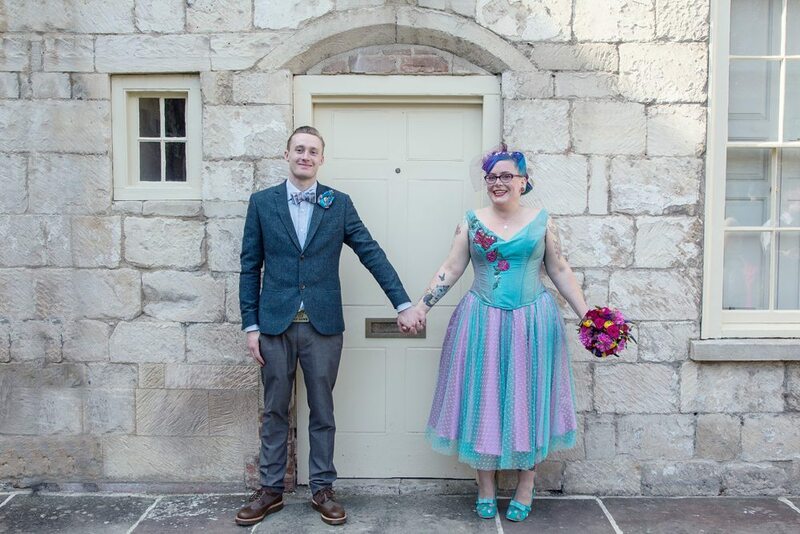 Rainbow petticoats for a 50s rockabilly style? Sequins as far as the eye can see? Embroidered unicorns? No problem! Every dress made by The Couture Co is unique, so you can feel totally comfortable expressing your signature style, no matter how brilliantly bonkers it may be. 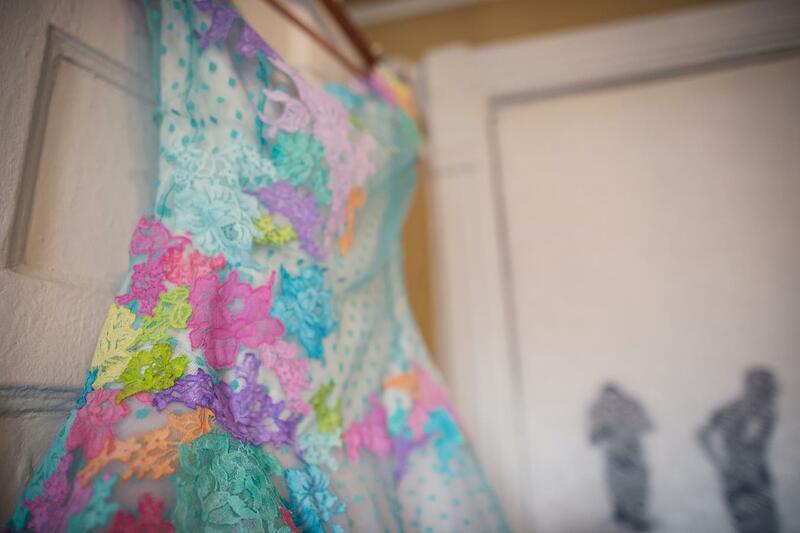 Fabulously floaty dresses, stunning embroidery, beautiful colours, and every one named after a dessert?! YES! 1,000 TIMES YES! FYI – those pictured below are the Meringue Cake, the Caramel aux Amandes and the French Macaroon. Who said cake and dresses don’t go together? 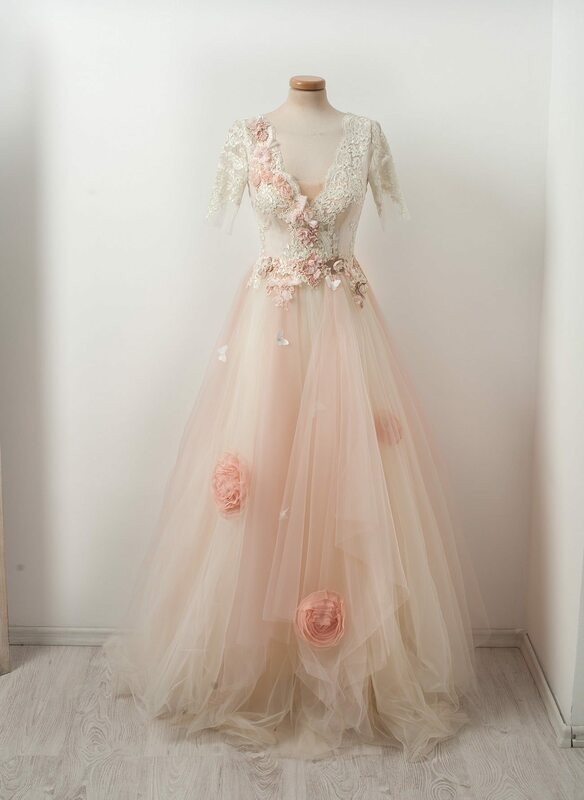 This Romanian based design duo whose influencers include Frida Kahlo and Wes Anderson bring beautiful custom made gowns at the sort of prices that make you look twice – an amazing option for creative, colourful brides on a stricter budget. You have to agree that all of these are just so gorgeous! I hope these have helped you feel inspired to maybe even break with tradition. If you feel like the big white dress just isn’t for you, don’t be afraid to think differently. It’s your wedding day, your wedding dress, and your choice. It’s time to Break the Mould. And if you’re looking for the best photographer to go along with your wedding dress, you know who to call.